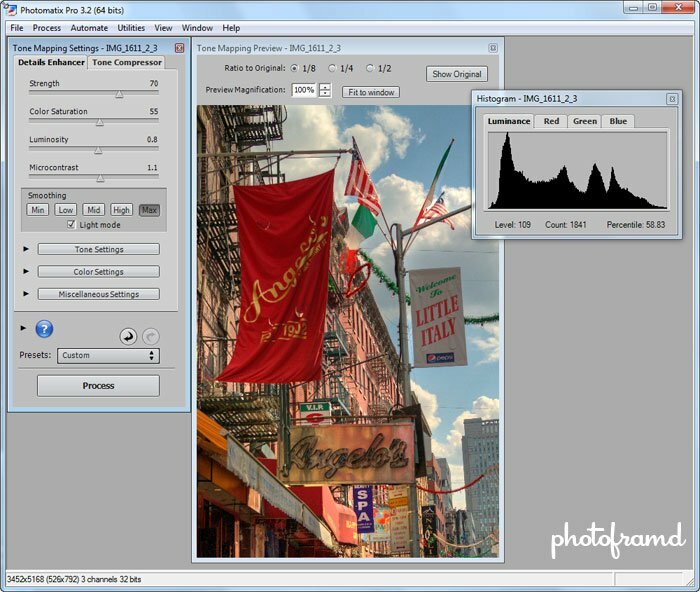 Photomatix Pro is one of the most estabilished stand-alone HDR programs. Version 3.2 not only handles Canon 7D Raw Files but it is also available in 64-bit! 1. 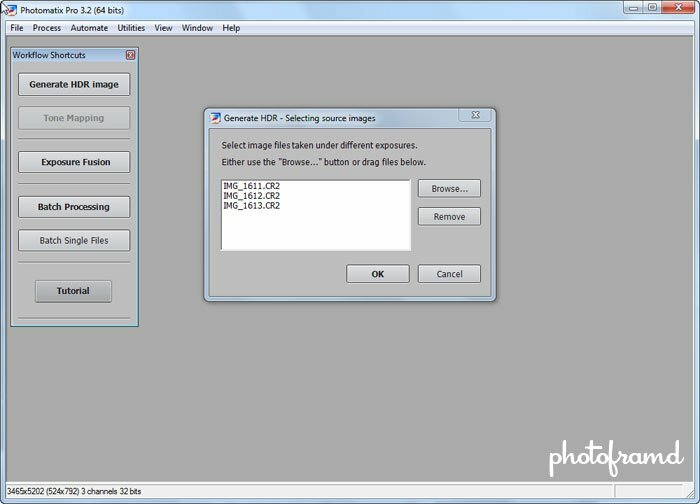 Use Generate HDR image to import the Raw Files. Photomatix 3.2 does a wonderful job at processing Canon 7D Raw Files. Start the process by clicking the Generate HDR image. In the pop-up dialog box, use the Browse button to select the Raw Files to be merged. 2. Select the Options to be used for the merge. Very similar to Photoshop CS5 here. 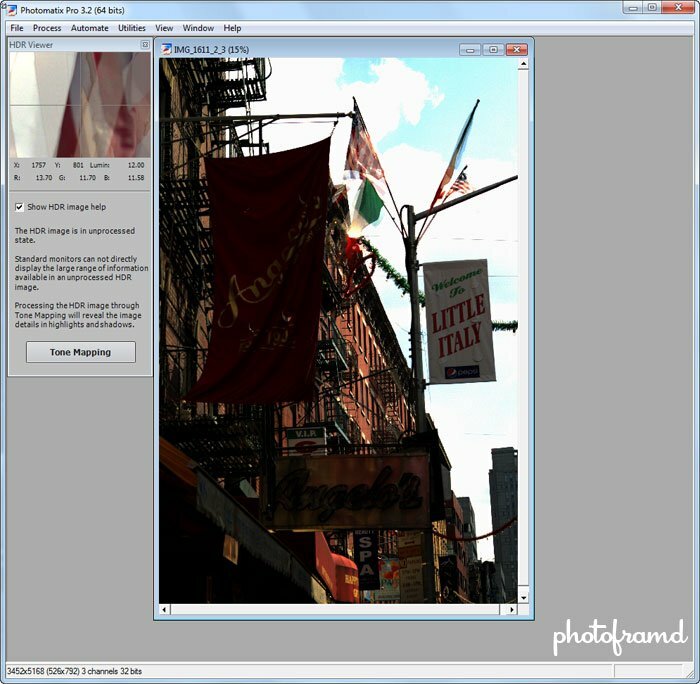 Use the Align source images to line-up the images, even if they are hand-held! The option to Attempt to reduce ghost artifacts is also available. 3. First Merge and then use the Tone Mapping. A preview of the merged image will appear. But, this is just the beginning. At this point, click the Tone Mapping button to get to the real HDR part. 4. Tweak the settings and process the image. 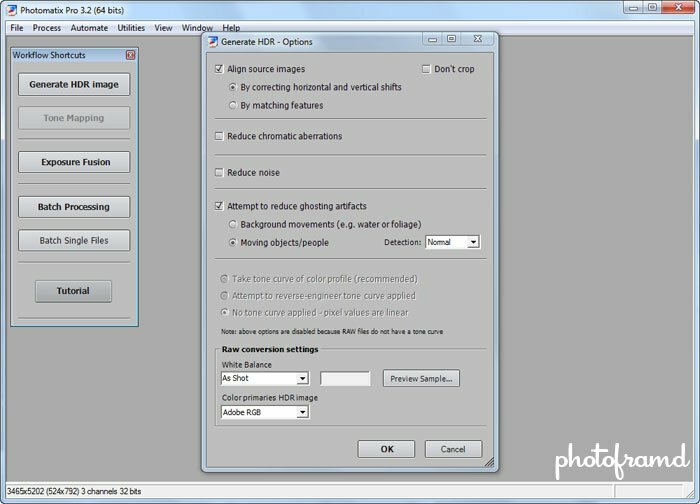 Photomatix has a set of simple sliders to adjust the final HDR image. For most people, this will be enough to generate a great HDR image. However, you can continue to tweak the settings. Clicking the buttons for Tone Settings, Color Settings and Miscellaneous Settings will reveal additional controls. You can even click the Tone Compressor tab for further fine tuning. When you are satisfied, click the Process button to generate the final HDR image as a TIFF image (either 8-bit or 16-bit). Sorry, you cannot save the file directly as a Photoshop PSD. The 64-bit version of Photomatix 3.2 handles very well on Windows 7 Professional 64-bit. Overall processing is very fast and stable. Comparing the Photomatix image to the Photoshop CS5 HDR image, I feel the Photomatix image has more detail and image depth. 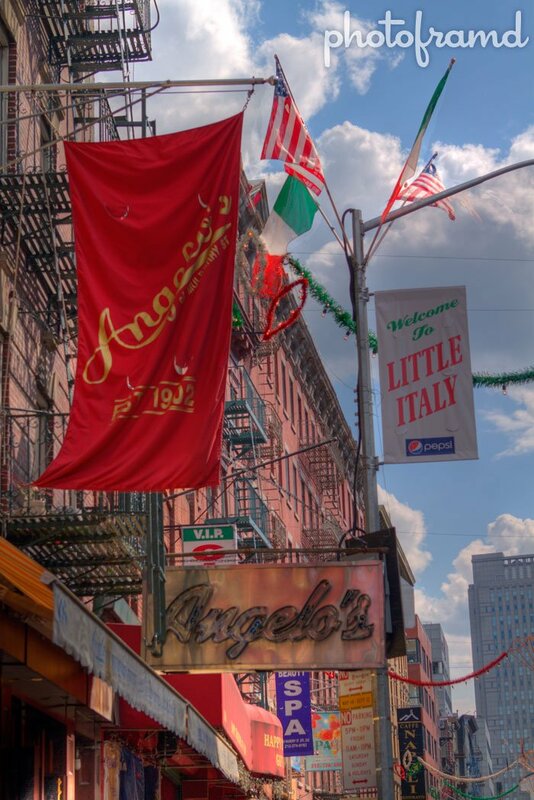 (Take a look at the detail in the clouds and the Angelo red banner.) However, Photoshop CS5 does a better job at removing ghost images. If you look at the US Flag at the top of the pole, you can see a ghost flag in the Photomatix image which is not present in the Photoshop CS5 image. Simple Spot Healing Brush with Content-Aware will remove the ghost. Note: I was planning on reviewing the new kid on the HDR block called Oloneo which is currently in beta. However, the current beta is very limited. It will open Canon 7D Raw Files; however, it will not import more than one 7D Raw for an HDR composite. It keeps displaying “Out of Memory” errors at various points. It does have a nice visual interface, so I hope they move this product along. Updated Note: Oloneo is now stable and supports Canon 7D Raw files. It’s even 64-bit! Please take a look at my review of the beta version.